One of the most beautiful countries on earth, Sri Lanka lies like a teardrop-shaped gem off the southern tip of India, writes Donna Hardie. This vibrant jewel in the Indian Ocean is bursting with an energy that feels like a dazzling celebration of life itself. A kaleidoscope of colour assaults the senses and feeds the soul – the cerulean, coral and fuschia of sari silk, the saffron of holy robes, the earthy terracotta of spices and the golden splendour of temples and shrines. 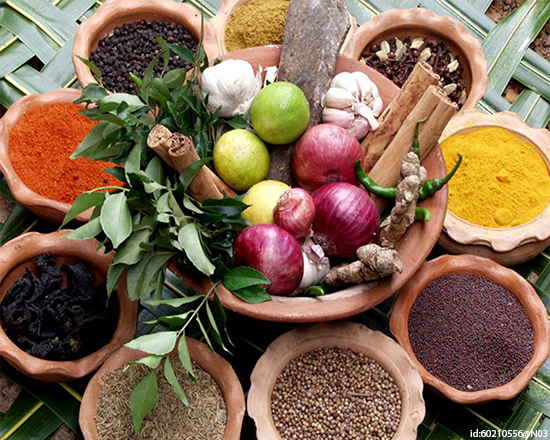 There’s no doubt this colourful diversity is due to the many nations who colonised what was formerly Ceylon – first the Sinhalese and the Tamils, then, lured by its spice riches, the Arabs, Portuguese, Dutch and British followed. But perhaps more surprising is this country’s enchantingly different landscapes, each offering a very different holiday experience. Untouched white-sand beaches wafted by salty, spice-laden tradewinds give rise to verdant jungle, where the majestic elephant and Sri Lankan leopard roam among moss-covered ancient palaces. And presiding over the forest are mist-shrouded highlands of tea plantations and mountains that seem to soar to the heavens. One such celestial summit is Adam’s Peak (Sri Pada), rising in solitary splendour above the surrounding hills of Ratnapura. An imprint in the rock at its crown is claimed to be a footprint made by Buddha himself and has been an object of worship and pilgrimage for centuries. Such is this country’s relatively modest size – it’s smaller than the Republic of Ireland – it’s possible to experience both beachfront bliss and jungle adventure in one day. 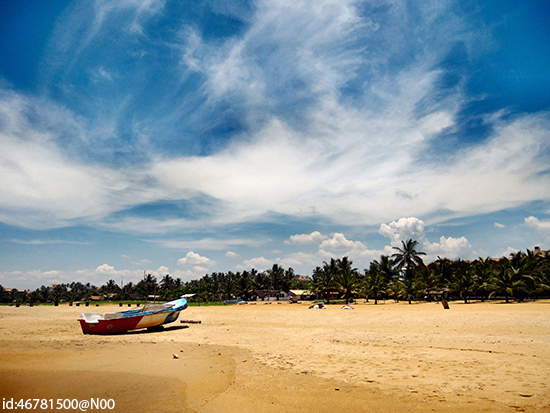 Sri Lanka’s outstanding natural beauty has inspired prose and poetry alike. Travel writer Paul Theroux was particularly inspired by one of the country’s colonial ports. ‘Galle is a beautiful place, garlanded with red hibiscus and smelling of the palm-scented ocean, possessing cool Dutch interiors and ringed by forests of bamboo,’ he wrote in his 1975 journal The Great Railway Bazaar, paying homage to an island where today (particularly after the end of civil unrest in 2009 and the opening of a new international airport in 2013), visitors are increasingly tempted by its antiquities, national parks, pristine shores, coral reefs, spiced cuisine and hospitable locals. Foodies visiting Sri Lanka are in for a treat, as the food here is as culturally diverse as the country itself. Seafood, coconut milk and spices feature heavily and the staple diet is rice with curried anything, accompanied by up to 12 side dishes. Try a fish ambul thiyal (sour fish curry), sautéed in cinnamon, turmeric, garlic, pandan leaves and dried goraka (a small, sour fruit). Or hoppers, a pancake made from rice flour and coconut that you use to scoop up rice. Known as the Sri Lankan Riviera, the arc of white sand that hugs the southwest coast is backed by handsome tropical gardens, rice paddies and orchards heavy with the tropical mangosteen fruit. With the walled town of Galle at its centre, this beautiful stretch of golden beachfront features colonial Negombo – a lively spot for lazy days and late nights; Hikkaduwa, a shallow body of water enclosed by multicoloured coral reef, rainbow shoals of fish and a marine national park; and the windsurfing hot spot of Bentota, bordered by the Indian Ocean on one side and the flowing waters of the Bentota River on the other. With an amazing eight UNESCO World Heritage Sites to its name, there’s a pervading sense of history wherever you go in Sri Lanka. For 3,000 years it has seen countless ancient cities, temples and monasteries built and then surrendered to a tangle of jungle. At the spiritual heart of what’s known as the country’s Cultural Triangle, is the great third-century Kingdom of Anuradhapura, once Sri Lanka’s capital. The oldest documented tree is here (over 2,200 years old), alongside the island’s oldest Buddhist shrine. 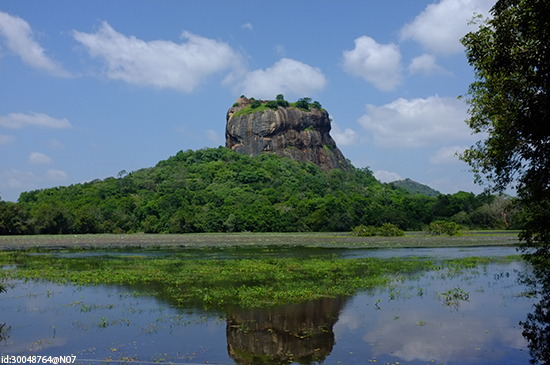 An awe-inspiring must-see is Sigiriya, a fifth-century rock fortress teetering on a core of rock that rises a sheer 200m above the jungle. A pair of giant stone lion’s paws guard the staircase that leads to the summit, once occupied by a royal palace. And discover Sri Lanka’s most important Buddhist relic, a tooth of the Buddha at Kandy’s Temple of the Sacred Tooth. If you don’t fancy leaving your sunbed for too long, head to the coastal town of Galle and tour its outstanding 16th-century fort – the best-preserved sea fort in Southeast Asia, which even stood firm against the 2004 Boxing Day tsunami. 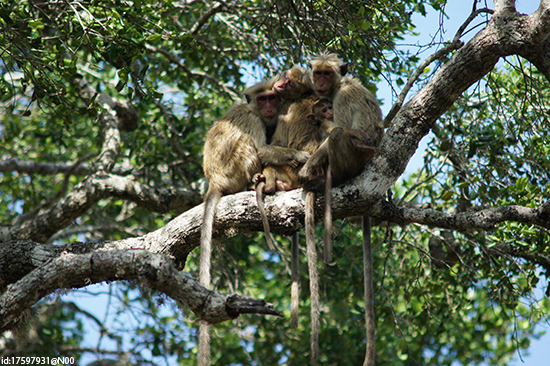 One of the best places in Asia for nature lovers, Sri Lanka has wildlife in abundance. The island’s isolation from the mainland and its varying altitudes has given it a biodiversity you’d normally find over an entire continent. As a result, great swathes of its land have sanctuary status. 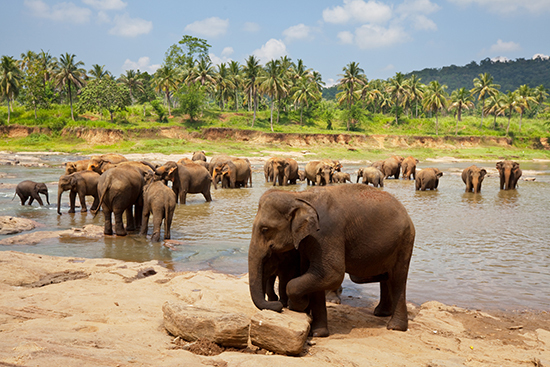 Yala National Park in the southeast is home to 400 of Sri Lanka’s wild elephants as well as sambar deer, sloth bear, water buffalo, wild pig and toque monkey. And, with around 30 Sri Lankan leopards, there’s a fair chance you’ll spot one of these secretive big cats. To the west is Udawalawe National Park, where sightings of one or more of its 500 elephant residents are virtually guaranteed. Soaring high over the dense jungle, the landscape gently morphs into rolling meadows and mountains, blanketed by a lingering, cooling mist and dotted with tea plantations. 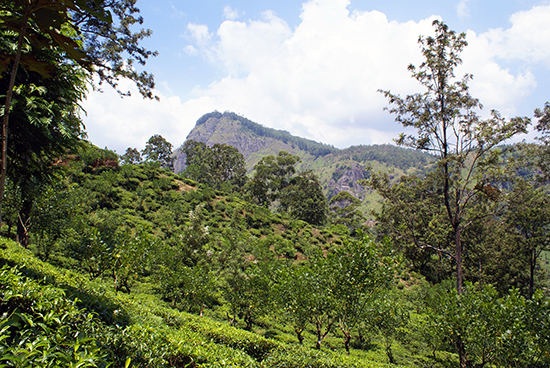 Here, in the hill province of Nuwara Eliya, you truly feel on top of the world. Referred to by the tourist board as Little England for its innate Britishness, it was built during the 19th century by Scottish and English tea growers who indulged their passion for picket fences, red telephone boxes, mock Tudor cottages and even a Victorian brick-built post office. Only when you see the odd tuk-tuk whizzing by do you realise you’re still in Sri Lanka. Enjoy the gentle pleasures of boating on Gregory Lake, strolling among the Hakgala Botanical Gardens, or taking tea at a plantation house. Or, you could climb higher still and take the pilgrim’s path to Adam’s Peak, stand where Buddha once set foot, and simply look down at what is surely one of the most heavenly vistas on earth. Visit the historical city of Galle on the southwest tip of Sri Lanka and walk around the original fort, which was built by the Dutch in 1663. From £64pp. Have a meaningful and unique experience as you get up close and personal with Sri Lankan culture, exploring the city of Kandy, home of the Temple of the Sacred Tooth, which is a major highlight of this tour. From £109pp. Visit this impressive national park and stay overnight to experience the sounds of nature. The experience includes jeep safari game drives to see the Asian elephants that roam the park, plus a variety of birds and other animals. From £245pp.